MOSCOW. April 8 (Interfax) – Russian Internet companies already account for about 4% of GDP and this figure will continue to rise, but regulation of the World Wide Web is inevitable because the Internet is an important part of world economy, first deputy head of the presidential administration, Sergei Kiriyenko, said. “In Russia the share of Internet companies is already about 4% of our gross domestic product. 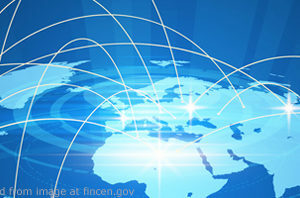 This share is going to rise quickly because e-economy zones are growing much faster than other spheres of the economy,” Kiriyenko said at the 20th Russian Internet Governance Forum (RIGF 2019) in Moscow to mark the Runet’s 25th anniversary. “This means that influence is only going to grow. It means the Internet will become one of those industries which used to have its own regulation,” he said. With the Internet now “an important part of the world product,” there is no question about whether the international community and the state should take part in Internet regulation: “it’s inevitable,” Kiryenko said. Right now, the question is how to build this regulation while “maintaining the thin line” between citizens’ and state security and preserving conditions for competition and development, he said.